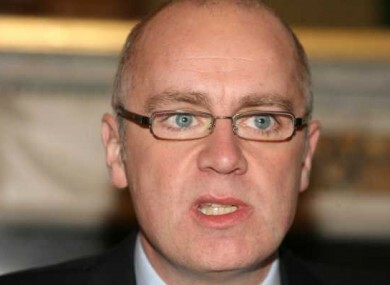 DAVID DRUMM IS due to appear in court today to appeal his bail refusal ahead of his extradition proceedings in March. The former CEO of Anglo Irish Bank is appealing against a decision not to give him bail at a hearing on 10 December. He claims he faces safety risks in prison, where he is being held mostly in isolation, and that the original judge made a “factual and legal error” in refusing his bail. The 49-year-old has been in custody since he was arrested by US Marshals at his home near Boston on 10 October. He has been held in four detention centres in two states since then. He spent Christmas at the Plymouth County Correctional Facility, a maximum-security prison 40 miles south of Boston. Drumm’s lawyers complained that conditions at the prison were “unrelentingly harsh,” and so “uncomfortable” as to make it almost impossible for them to consult with their client. It’s a far cry from his former $2 million, four-bedroom house in Massachusetts, where he had offered to spend the next few months under house arrest, and wearing an electronic tag. Drumm is wanted in Ireland on 33 charges relating to transactions while he was chief of the now-defunct Anglo Irish Bank. They include forgery, conspiracy to defraud, being privy to the falsification of documents, disclosing false or misleading information and giving unlawful financial assistance. He claims that he cannot adequately prepare for his extraditing hearing while in prison. Email “David Drumm due to appeal his bail refusal today ”. Feedback on “David Drumm due to appeal his bail refusal today ”.